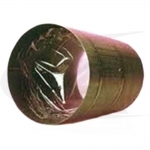 Water soluble purge films are an economical solution for creating pipe purge dams. 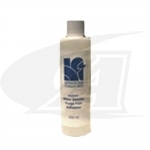 Designed to create an impenetrable purge barrier, the water soluble film dissolves away when done. As with the purge paper, you will need to cut the film to fit your pipe, and use a special adhesive to attach the film and create a localized area for purging. The film is water soluble, and can be flushed away when the welding is complete.